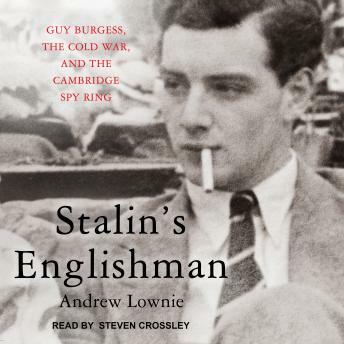 Guy Burgess was the most important, complex, and fascinating of 'The Cambridge Spies'-Maclean, Philby, Blunt-brilliant young men recruited in the 1930s to betray their country to the Soviet Union. An engaging and charming companion to many, an unappealing, utterly ruthless manipulator to others, Burgess rose through academia, the BBC, the Foreign Office, MI5 and MI6, gaining access to thousands of highly sensitive secret documents which he passed to his Russian handlers. In this first full biography, Andrew Lownie shows us how even Burgess's chaotic personal life did nothing to stop his penetration and betrayal of the British Intelligence Service. Even when he was under suspicion, the fabled charm which had enabled many close personal relationships with influential Establishment figures (including Winston Churchill) prevented his exposure as a spy for many years.